Are you trying to find the motivation to meditate? Meditation can be a great way to relax and de-stress, as well as to create emotional and spiritual well being. Who wouldn’t want to experience these benefits? Even so, with the hectic pace of life in today’s society, it can still be hard to dedicate time to meditate. 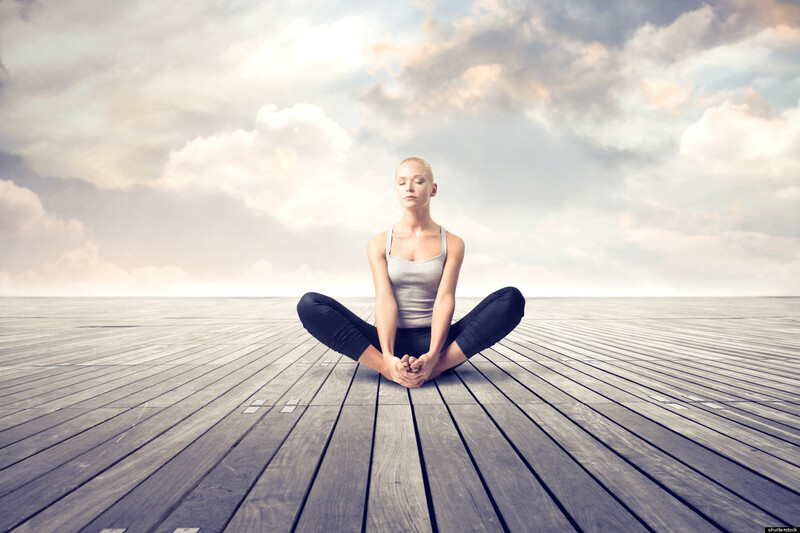 Here are some tips to help you find your meditation motivation. List the reasons why you avoid meditation. Handle the problems. If you don’t like spending an hour meditating, or you get frustrated easily, then try half an hour. Or ten minutes. One true moment in meditation will be greater than one hour spent fidgeting and grumbling. If you feel too busy to be still (in body or mind), then give yourself permission to be completely and totally free during your meditation time. (Yes, that means turn off your cell phone.) After all, you deserve to be peaceful as much as you deserve to eat, sleep, or breathe. It is a part of who you are. Furthermore, the world around you—your family, your friends, your companion animals, even strangers—deserve for you to be peaceful, too. If you are distracted by your environment, then change what you can control, wait for quietude, or find a more serene location. If you feel like a failure, then remind yourself that in meditation, there is no such thing as failure. Or success, really. Do not be attached to your results. They do not tell you who you are, only where you are. If you feel physically uncomfortable in your posture, then try sitting on a pillow or in a chair. Lie down if you have to do so. You can always try other postures later. If you feel emotionally or physically disturbed (other than how you’re sitting), then you may have some mental or emotional issues that you need to address. Meditation may help you with your problems, but usually other techniques are quite effective too, sometimes more effective. Try for example to write your thoughts down. If you have other reasons for avoiding meditation, analyze them and create your own solutions. You know what you need better than anyone. Schedule meditation into your day. While it may not motivate you to meditate, at least you won’t have anything else to do at that moment (it’s true—check your schedule!). Try meditating first thing in the morning or last thing at night. At these times, you will probably be least busy, so there will be a limited number of excuses. Moreover, early morning meditation may help you focus throughout the day, and late night meditation may help you sleep deeply. Make meditation enjoyable rather than a chore. Perhaps you could create a “meditation zone” in your house or play soothing music. Find a community. You may enjoy meditating with others. If you prefer solitary meditation, you may be motivated by discussing meditation with a supportive friend who also meditates, exchanging insights and questions. Make sure you are comfortable while you are meditating. Full lotus position, for example, may look cool, but it may not be a comfortable position for you. If you are uncomfortable, you’ll hardly be able to motivate yourself to practice meditation on a regular basis! Prolonged stress can result in serious health problems. Even if you are busy, make sure you take some time to relax, such as through meditation, for your own well being. Try listening to your favorite music and if you can, wear headphones, this makes the music more personal to you as you sit with your eyes closed. If you want to, keep an area of your home just for meditating. Put crystals around the area and light candles during your meditation. Make where you meditate a special place, and in time you will be aware that the energy where you sit is far calmer, because it will become a special place to you. There are thousands of styles of meditation. Mixing it up and finding new methods (often free, most with creative visualizations) can really keep you looking forward to the next session. Then you can stimulate your imagination a lot easier, making meditations extremely enjoyable. Be aware that circumstances (of varying importance) will arise in your life. It is up to you if you decide to follow through with your commitment to meditate. Notice when and why you decide to meditate. Also, notice when and why you decide to skip meditation. There is no need to judge yourself. Simply notice and learn. Article provided by wikiHow, a wiki how-to manual. Find author credits at the original wikiHow article on How to Find Motivation to Meditate. All content on wikiHow can be shared under a Creative Commons license. What have You found that increases your meditation motivation? Share your tips below. The post Tips to Boost Your Meditation Motivation appeared first on About Meditation.